The terms Value and Virtue are often used interchangeably, but in fact, values are the ideals or characteristics that an individual or group believes are important, and virtues are the lived expression of those values. As we raise our children, it is important not only to help them learn positive values that will serve the future happiness and fulfillment of both themselves and others, but also to give them the right tools, experiences, and environments so that they can develop the habit to live by those values. For example, we can teach our children to value Gratitude, but we must also provide the knowledge, experiences and role models who live by this value so they can develop the habit of living in the attitude of gratitude each day. The development of virtues is a much more complex process than the sharing of values. At Miri Piri Academy we share the values of self-reliance, self-awareness, discipline, grit, integrity, gratitude, reverence, group consciousness, service and Cherdi Kalaa. Our program was designed not only to instill these values but to help our students develop the habit of living according to them every day. 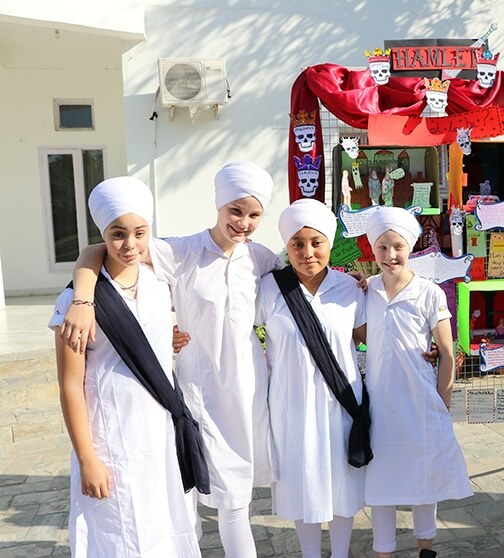 From dorm living to group sports to daily yoga and meditation to 40-day seva, every aspect of the program is intended to help our students learn and live by these values. 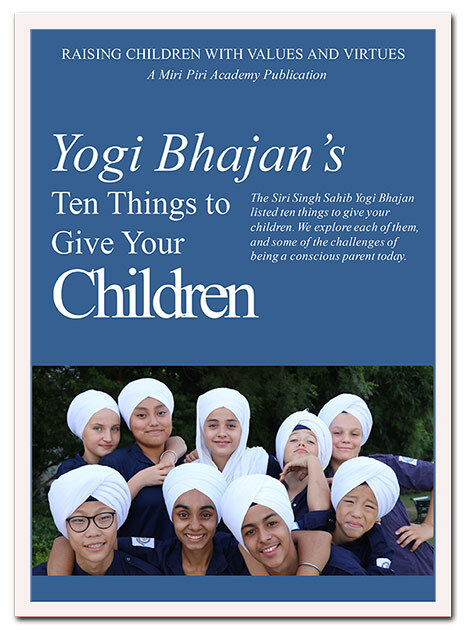 The Siri Singh Sahib Yogi Bhajan stated very clearly ten things to give your children. With these ten gifts, you help your children develop the values and virtues they will need to be successful, service-full and spiritually aware. It is easy to write this list, but it is not easy to give them to our children. How can we set aside our own personality, our fears and limitations, and develop our own capacities as parents and educators to provide the environments that will best prepare our children for life? Miri Piri Academy is launching a new project to share some of the many teachings that Yogi Bhajan gave us about parenting and raising conscious children. This will take the form of a bi-monthly newsletter to provide a yogic perspective on the challenges of raising children in today’s world. 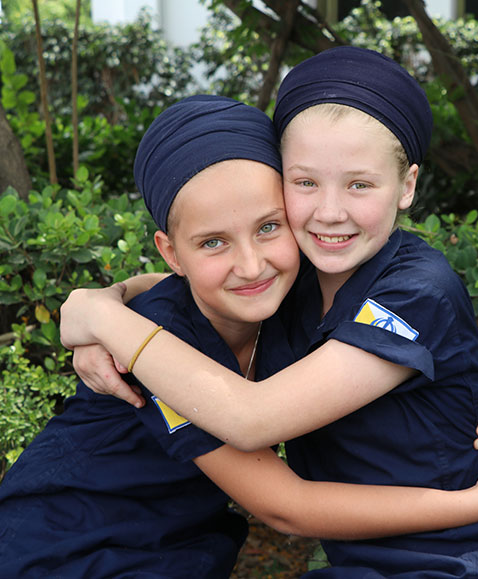 The Siri Singh Sahib Yogi Bhajan listed ten things to give your children. As a gift to those who sign up early, we are sharing this ebook, in which we explore these ten gifts further. With these ten gifts, you help your children develop the values they will need to be successful, service-full, and spiritually aware. As simple as it sounds, it is not always easy to impart these gifts to our children. How can we set aside our own personality, our own fear, and limitations, and develop our capacities as parents and educators to provide the environments that will best prepare our children for success in life? In the coming months we look forward to sharing with you and joining in a conversation with Kundalini Yogis and parents all over the world.